Here in holland we exchange gifts in the begining of December. Our version of Santa Claus (Sinterklaas) who looks more like a saint then the jolly round man that visits on christmas. At work where I council a group of teen girls, we play secret santa this week, we call this surprise. 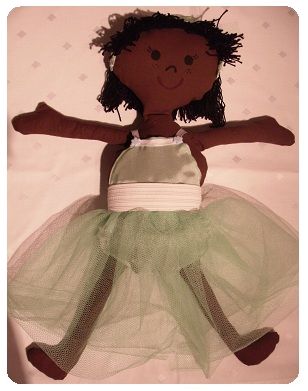 I made this balerina doll for Mimi. I will give it to her this thursday and I really hope she'll like it.